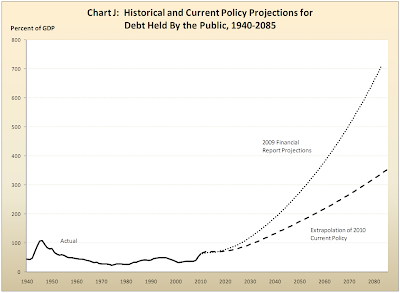 Chart J shows the Treasure Department's estimates for debt held by the public for the next 75 years. It looks like they are expecting a debt to GDP ratio of more than 700 percent by that time. Chart K shows tax revenue increasing at a gradual rate while total spending continues on a very steep curve until it makes up more than 40 percent of GDP. 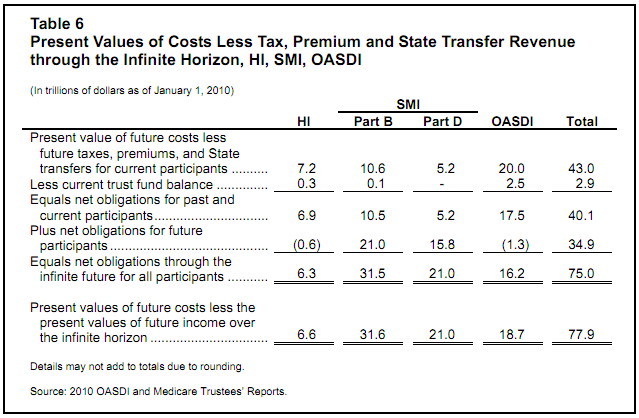 shrinking window of opportunity, for making policy changes regarding these challenges." It is obvious that we have a BIG problem in Washington. The government is bloated and struggling to get approval to allow them to continue to do things the way they have been doing them for the last several years. The striking issue that I see is that there is no possible way for our economy to continue to grow when the government is planning to add TRILLIONS of dollars of burden to our personal budgets. These charts and quotes have come directly from government reports and you can bet that the president has read them. 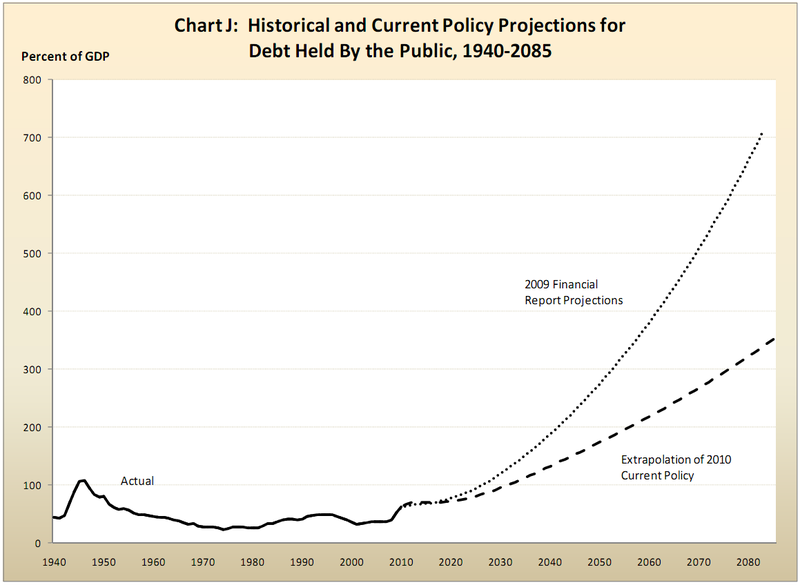 Our economy isn't strong enough to continue with these levels of debt. Government needs to get smaller and more efficient. 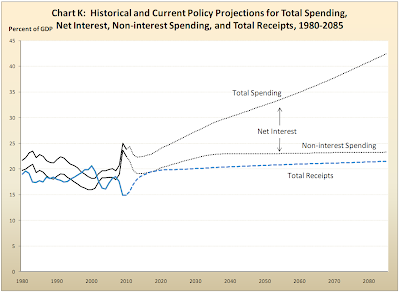 The data point that makes me the most nervous is the fact that we need $77.9 trillion in current funds in order to fund all of our liabilities for the next 75 years, and that is under the assumption that the cost of Medicare goes down. Our politicians in Washington have ignored that $77.9 trillion in all of the recent debates. They only want to talk about the $14.2 trillion that we have in publicly funded debt. This publicly funded liability is only a drop in the bucket for what our country is obligated to come up with during the rest of my life. 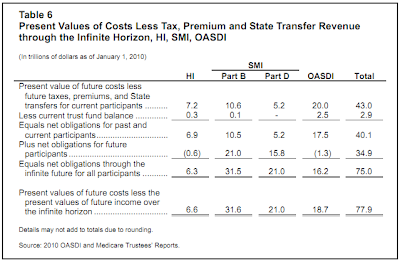 Also, the report that I read explicitly excludes liabilities to these organizations: AIG, AMTRAK, The Federal Reserve, CitiGroup, Freddie Mac, Fannie Mae, GMAC, Sallie Mae, and more. What a mess! It is obvious to me that someone needs to pull the emergency brake. Stop spending. Let the economy and the government shrink and shake out the artificial support. We shouldn't be talking about simply slowing the rate of growth of spending, we need to REDUCE spending until our government can learn to live within a budget.